Despite disappointing overtime losses in the first and second games of this series, the boys came back with an exciting Game 3 overtime win! Kirill Maksimov played hero, showing that third time is a charm in OT, for us. 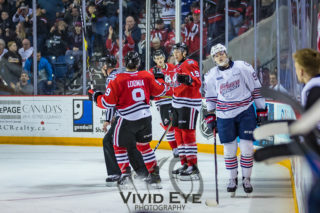 After falling last night despite carrying much of the play, the IceDogs find themselves fighting to keep their playoffs going. 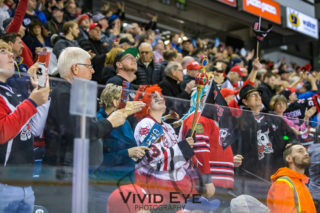 In a do or die game, the IceDogs will need to put their best foot forward. As has been the case in this series, the team to score first has taken home the win, so one of the good ‘Dogs’ keys to the game will be to get the first goal. We’ve had 5 different goal scorers this series, with Ben Jones leading the way with 3 goals. In 2017-2018, Ben Jones has scored 9 goals against the Bulldogs. Akil Thomas, Ben Jones, and Sam Miletic lead the team with 11 points in the playoffs. Thomas leads the team with 5 goals scored, while Miletic and Jones each have 4. Jones and Miletic each have 7 assists. 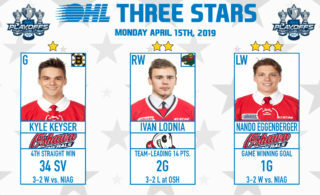 Stephen Dhillon continues to rank amongst the top in the league with a goals against average of 2.77, and leads all goalies still active in the OHL Playoffs with a save percentage of .926. The Bulldogs’ Fulcher ranks 2nd in the league with a goals against average of 2.57. Our 2nd ranked penalty kill, first amongst teams remaining in the playoffs, with an efficiency rating of 84.4%, is facing the Bulldogs’ 2nd ranked powerplay, which has a 36.8% efficiency rating. Our 8th ranked powerplay, 28.3% efficient in the post-season, is facing the Bulldogs’ 8th ranked penalty kill, 75% efficient. We’ve forced a do or die Game 5, tonight back in Hamilton! 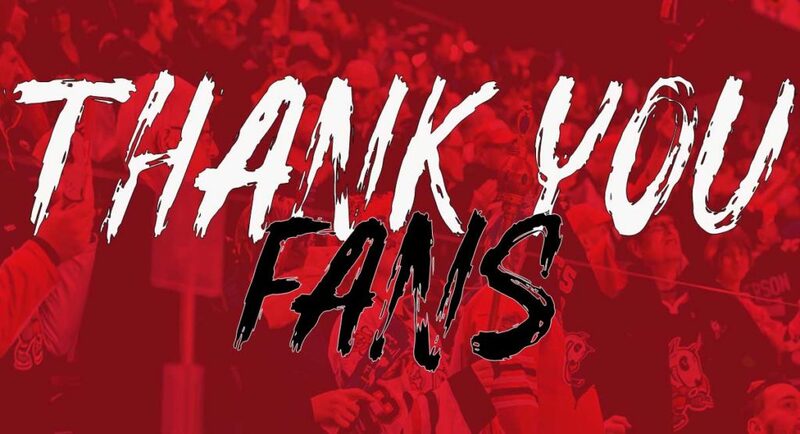 We’re sending fan buses down the QEW to show Hamilton which ‘Dogs team has the best fans! To join us tonight, contact Brianne in the Business Office!